Options selected through Infinite Options will display as line item properties within an order. To locate them, first navigate to the order in question (within the Order Details on your Shopify Admin), then look below the product's title. 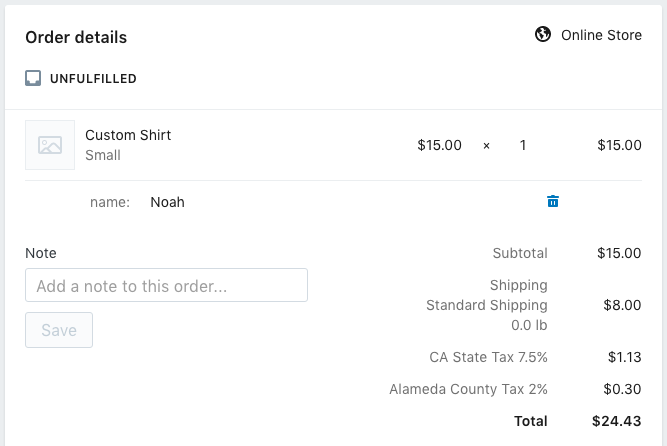 In the image below, name is the label of the option, and Noah is the value the customer selected.